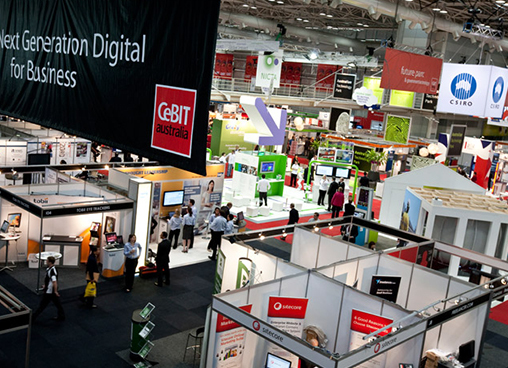 CeBIT Australia is Asia-Pacific’s leading Information & Communication Technology (ICT) business event that features the latest technologies and talks by leading thinkers and business strategists from all over the globe. CeBIT is peerless in its industry reach, attracting attendees from diverse industries such as financial services, healthcare and government through to property, manufacturing, media and many more. At the event, over 350 exhibitors and 15,000 business visitors come together under one roof to witness the latest technologies and services across 12 categories. 10 technology conferences covering a wide range of IT topics. CeBIT Startup PitchFest competition in which startups pitch business ideas to investors and VCs. CeBIT Startup Conference consisting of talks by renowned entrepreneurs and IT leaders. Showfloor Theatres that allow visitors to engage in interactive sessions with the speakers. 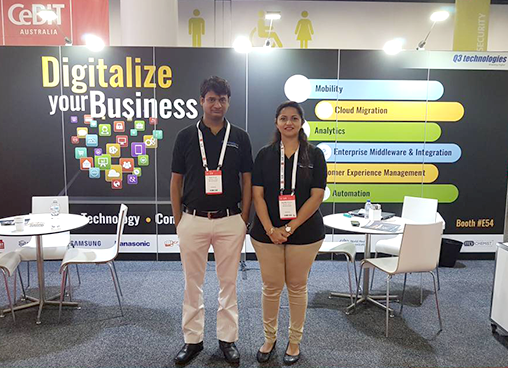 CeBIT Australia provides an excellent B2B platform for businesses looking for ways to meet and network with new prospects, generate brand awareness, and promote their products and services to a wider audience. Being our 6th consecutive participation at the event, we look forward to showcase our wide variety of products and solutions for visitors looking to outsource their software development. Our expert & cost-effective solutions help businesses looking to increase efficiency and reduce time-to-market while conforming to the highest quality standards in the industry.